Beginning today, Mariah and Lulu, the dromedary camels at the Santa Ana Zoo, have been moved next door to their exhibit while a new house is built for them. 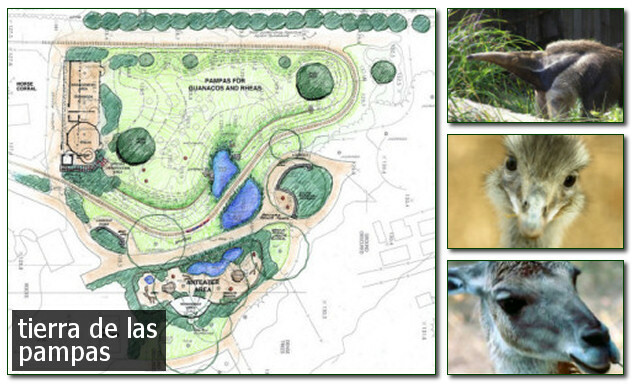 You can visit the camels back in their home with a brand new house beginning on February 13. Zoo Board members, staff, volunteers, and zoo supporters donated the money for this project and Eagle Scouts have volunteered to do the construction. The Santa Ana Zoo is located at 1801 East Chestnut, in Santa Ana. Click here for directions. On Resident Free Day, the third Sunday of each month, residents of Santa Ana may visit our Zoo for free. Proof of residency (driver’s license, utility bill) will be required upon arrival. Not valid to schools or business addresses. The next Resident Free Day is coming up on Feb. 20. Have you checked out the camels at the Santa Ana Zoo? Santa Ana residents can enjoy a FREE day at the Santa Ana Zoo at the Prentice Park, this Sunday, August 15. Thanks to our efforts the Santa Ana Parks and Recreation Agency changed the monthly free day to a Sunday, so that working families might avail themselves of this wonderful venue. There are displays with over 300 animals from around the world on 21 acres. The Zoo is open daily from 10am to 4pm, once inside, one can remain until 5pm. In related news, the Santa Ana Zoo’s Zoofari Fundraising Gala is coming up on August 28. Click here for details. Santa Ana residents can visit the Santa Ana Zoo free this Tuesday, July 13. New exhibits now include the Tierra de las Pampas, which features anteaters and other animals from South America, and two camels you can ride! I do have good news to report. The City of Santa Ana has finally changed their free day policy at the Santa Ana Zoo! I will be reporting on that in a separate post. They will be honoring this free day, on July 13, but will also provide a separate free day on Sunday, July 18. Please be sure to thank Gerardo Mouet, the Director of the Santa Ana Parks and Recreation Agency, for leading the charge to change the free day to a Sunday, by clicking here. 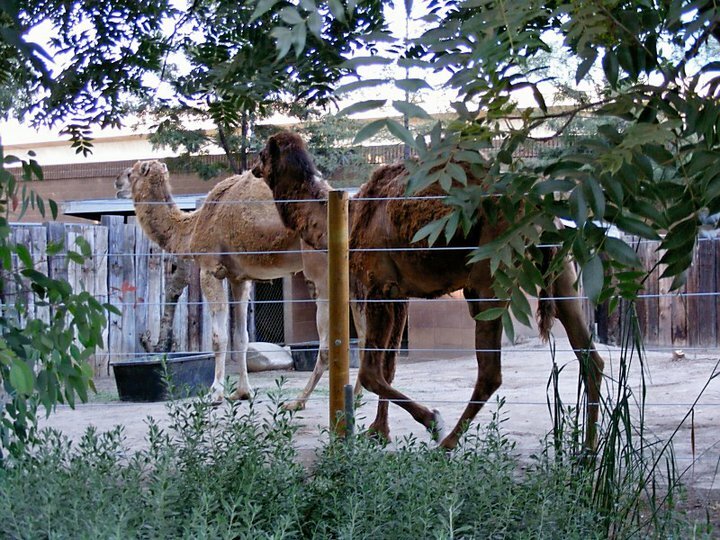 Have you seen the camels at the Santa Ana Zoo? 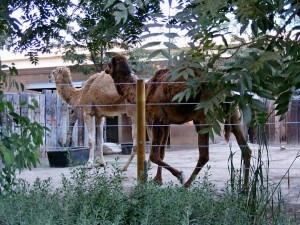 On May 31, 2010, Noah and Kaleb, 2 dromedary camels, came to live at the Santa Ana Zoo for the summer. Camel rides have started, and you can climb atop one of these magnificent animals into a custom made saddle and ride around our urban oasis. The camels just moved into their new home and can be found this summer in the …yard just north of the “Colors of the Amazon” walk through aviary. Famous for their ability to trek long distances through the desert, camels have been great service animals since biblical times. 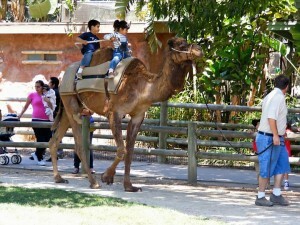 Camel rides open this weekend, June 26/27 at the Santa Ana Zoo! Rides are only $5, and will be open from 10:30 am to 4:30 pm on Saturday and Sunday.